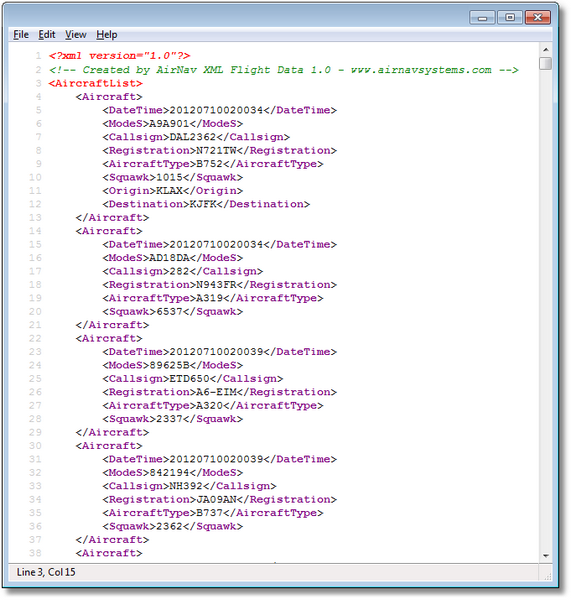 24/7 FTP access to real-time generated files in XML or AirNav System custom format. 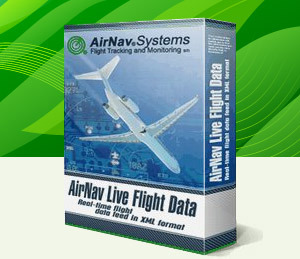 AirNav Live Flight Data, the solution for who needs access to raw real-time flight data in XML format. Data will be downloaded from our ASDI (US and Canadian airspace) server, RadarBox Network (worldwide coverage) and/or RadarBox Hardware. With a fast and easy installation it is being used by major airlines, airports and research companies all over the world. Contact our company for order details. After you receive your order, instructions will be sent for you to download and install the software or to properly access our real-time XML data retrieval scripts.